4.3 out of 5 based on 47 bloggers and 7 commenters. 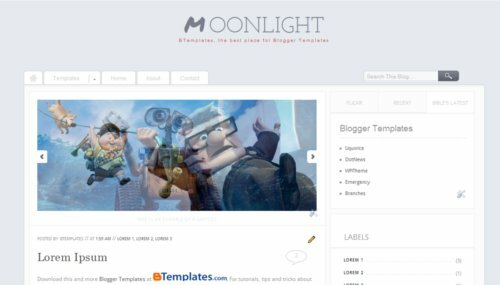 Moonlight is a free blogger template with 2 columns, right sidebar, an exclusive design for Blogger, ads ready, slider, tabs, drop down menu and neutral colors. pq ele não fica correto? Amigo, no meu blog não tá aparecendo os flashes de imagens e estou vendo que aqui também não. O que há?! How do I get the Networked Bloggers thing from the top of the page? I want it gone because I don’t really use networked bloggers plus it’s an eyesore.